Our story begins in 1840 when our ancestors, the "Markut" family, sailed from Switzerland to New Orleans, taking the steam ship up the Mississippi River to the Bond- Madison County area of southern Illinois. Once settled in America, the Markut name was changed back to a previous old world spelling "Marcoot". By the mid-1800's, our ancestors were raising and milking Jersey cattle. We have even been able to find dated "Marcoot Jersey Farm" letterhead dating back to the 1850’s. We are extremely proud of the fact that seven generations of our family have raised Jersey cattle. Fast forward with us now to 2009. Our parents, John & Linda Marcoot, came to us with the realization that they wished to retire from the dairy farm soon. They gave us the choice to either continue the dairy or to pursue our own desires and attend college. 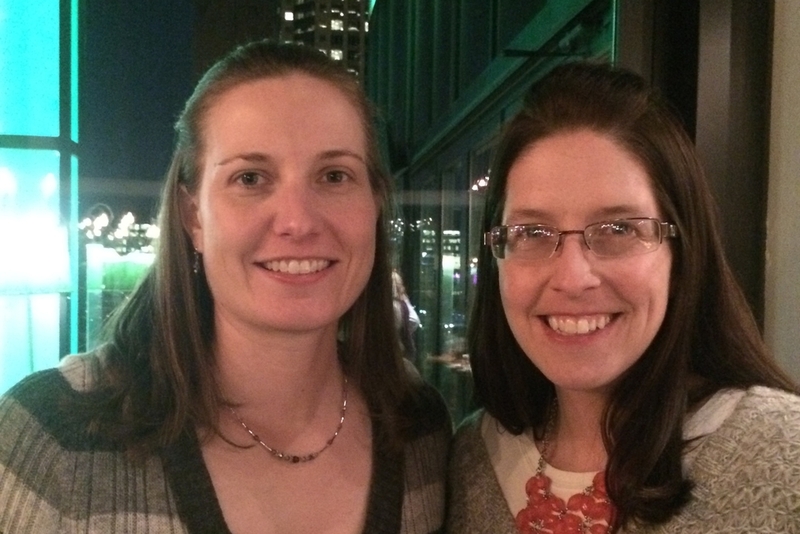 Our original plan was to finish our Undergraduate and Master’s Degrees then pursue careers off the farm. However, it didn’t take us long to realize we wanted to continue in family heritage in the dairy business. Luckily for us, our Dad still manages the Jersey herd today. 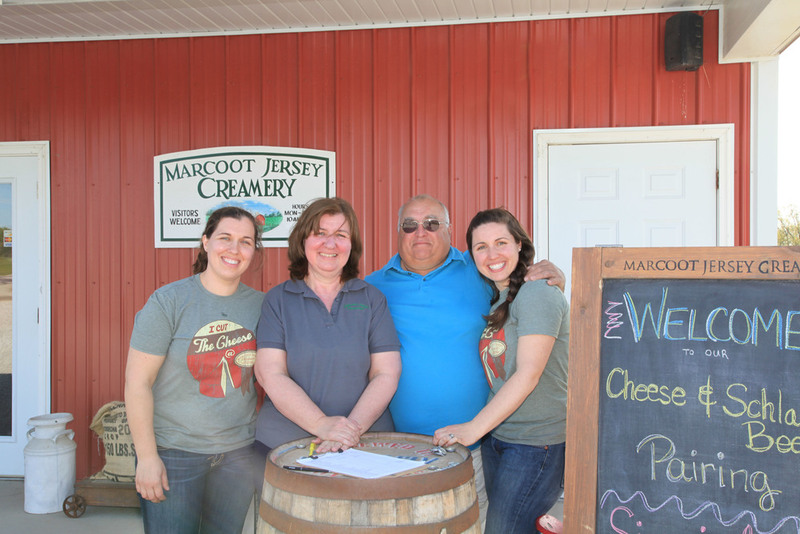 In March 2010, we embarked on a new adventure in the legacy of the Marcoot Jersey Farm by creating our first wheels of cheese. Sustainability is a key component for our family and farm and it guides the methods in which we take care of our herd, the way we produce our cheese, and designed our facility. Our cheese is made solely from the milk of our own Registered Jersey, primarily grass-fed cattle. Our 65 milking Jersey cows enjoy pasturing on the paddocks in a variety of grasses to provide abundant natural nutrition. No hormones are given to our cattle. Our heifers also graze in the pastures and get to enjoy our protein-filled whey; a byproduct from our cheese production. Our cheeses are all aged in our underground aging cave. The cheese cave is designed after the man-made cheese caves in Switzerland to provide natural aging for our cheese while providing energy efficiency and sustainability for the creamery. Our creamery also has large viewing windows where visitors can watch as we make cheese. Guests are also invited to visit our calves, housed near the creamery. Our goal is to create premium products and provide experiential education to our guests. For more information about our farm and creamery tours visit here. Here are couple videos of our story!